We all have weird prejudices against some techniques. One can find socks really frightening, others can be puzzled by the brioche stitch, etc. As for myself, I was convinced I would like neither the tubular cast-on or bind-off. Let me just say that I was wrong! Well, half wrong actually because I still don’t like the 2/2 tubular look, but that’s a story for another day. The long tail cast-on is a pretty and stretchy alternative to the classic long tail cast-on. I always had a hard time imagining how it works because it is totally invisible: if you look on the edge of a tubular cast-on, all you can see is a continuous knit! The video is in French but as some of you might prefer to see how to do it “for real” I’m adding it anyway. If you have straight needles, it’s the right time to use it as this cast-on rolls A LOT on circular needles. When you’ll have performed it a few times you’ll be able to see if a stitch rolled or not but for the first time my one and only advice is to use straight needles. Measure 3 to 4 times the length you want to cast-on. Tie a slipknot on the right hand needle and hold your yarn as for a classic long tail cast-on. The slipknot count as your first knit stitch. Wrap the index-yarn around the needle by diving under it a toward-you motion. 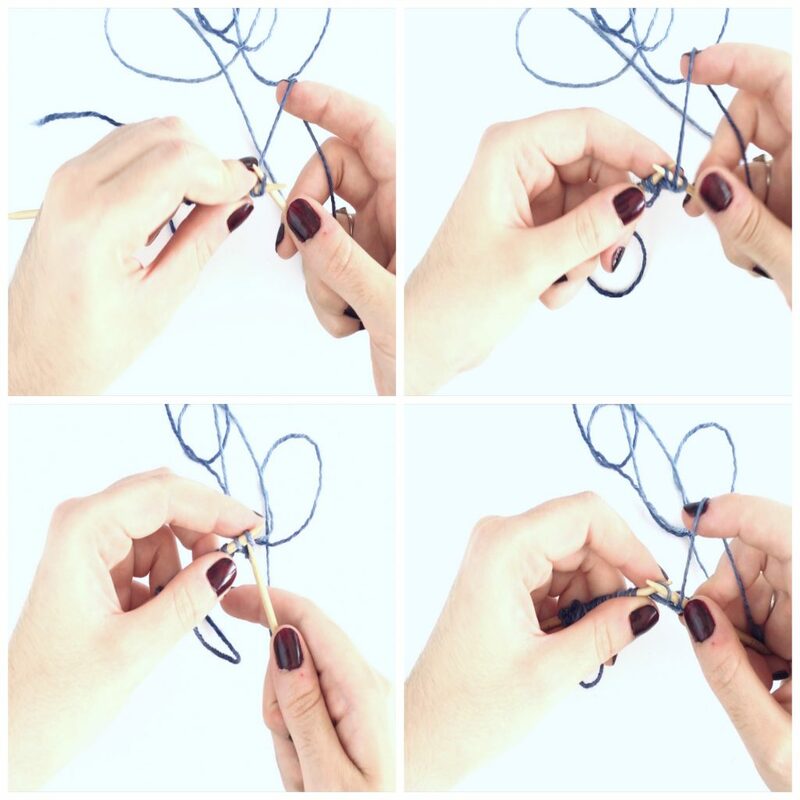 Go over then under the thumb yarn in an away-from-you motion. You’ve cast on one purl stitch. 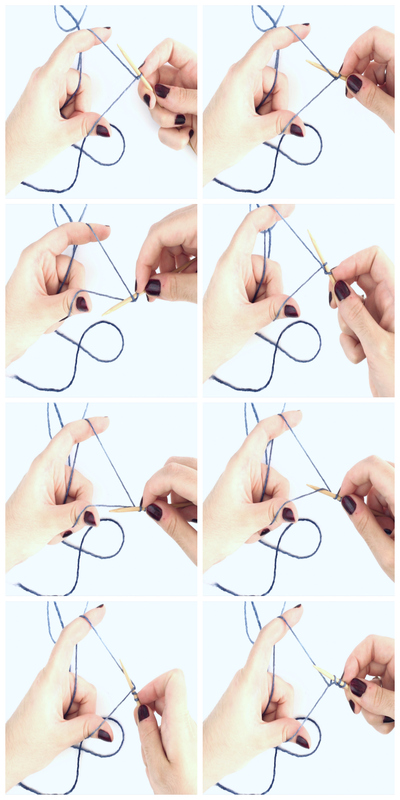 Slide your needle under the thumb yarn then over the index yarn in an away-from-you motion. Bring back the needle in front of the work by swirling under both yarns. You’ve cast on a knit stitch. Repeat steps 2 to 5 until you have the desired amount of stitches. Then you’ll have to knit two rows back-and-forth before being able to properly begin knitting your project (this also apply if you’re knitting in-the-round). Turn the work. *Knit 1 through the back loop, slip 1 with yarn in front; repeat from * to end of row. If you have an odd number of stitches, you’ll end your row with a knit through the back loop stitch. Turn the work. *Knit 1, slip 1 with yarn in front; repeat from * to end of row. If you have an odd number of stitches, you’ll end your row with a knit stitch. Your cast-on is complete. If you’re knitting in-the-round, you can now start to work in-the-round. p style=”text-align: center;”>Not that scary, am I right?